Have you heard about or even been using WordPress Contact Form 7 – the most famous WordPress contact form plugin that has reached more than 5 million active installations? WordPress Contact Form 7 is the most successful WordPress plugin among over 29 thousand plugins available on Wordpress.org. 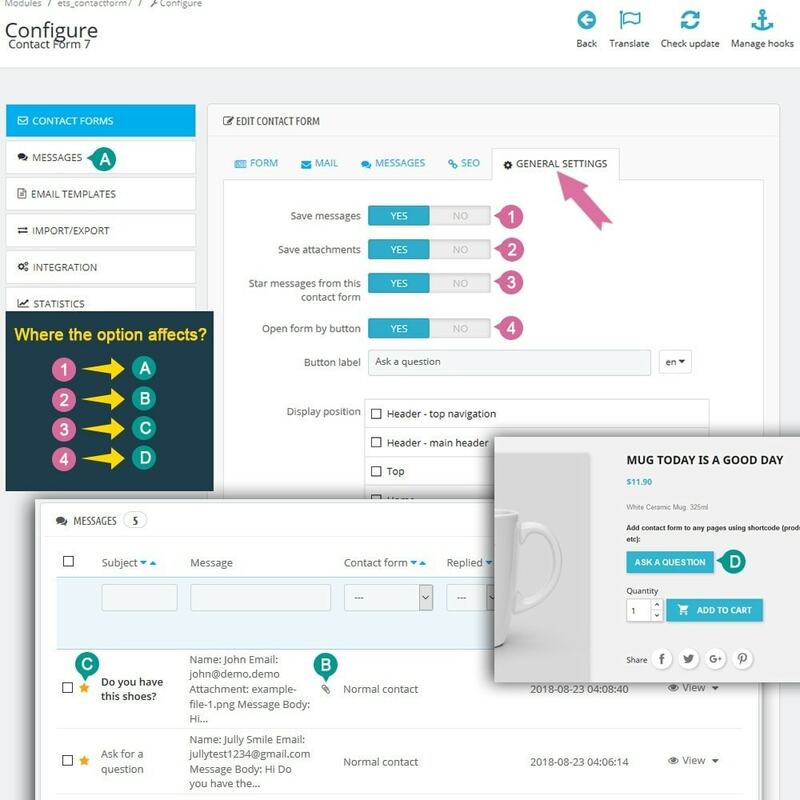 Thanks to Takayuki Miyoshi (the author of WordPress Contact Form 7) and his team for developing such great plugin for WordPress users (I’m one among those) that help bring amazing contact form feature to millions of WordPress websites. If you’re a fan of Contact Form 7, you must download this Prestashop contact form module right now. It’s a Prestashop version of Contact Form 7, most of the code of this module is gotten from its WordPress version (as the Contact Form 7 is an open source plugin). This Prestashop module works completely the same as its WordPress version, it’s also added with some more helpful features such as a capacity of storing customer messages, contact form page, simple image CAPTCHA, template editor, live form preview, better UI (user interface), etc. If you don’t use WordPress and certainly you haven’t heard anything about Contact Form 7, that’s OK. Just forget all I said about WordPress in the former parts of this article for now. Follow this article to discover this module, it’s the best Prestashop contact form module that you’re looking for! 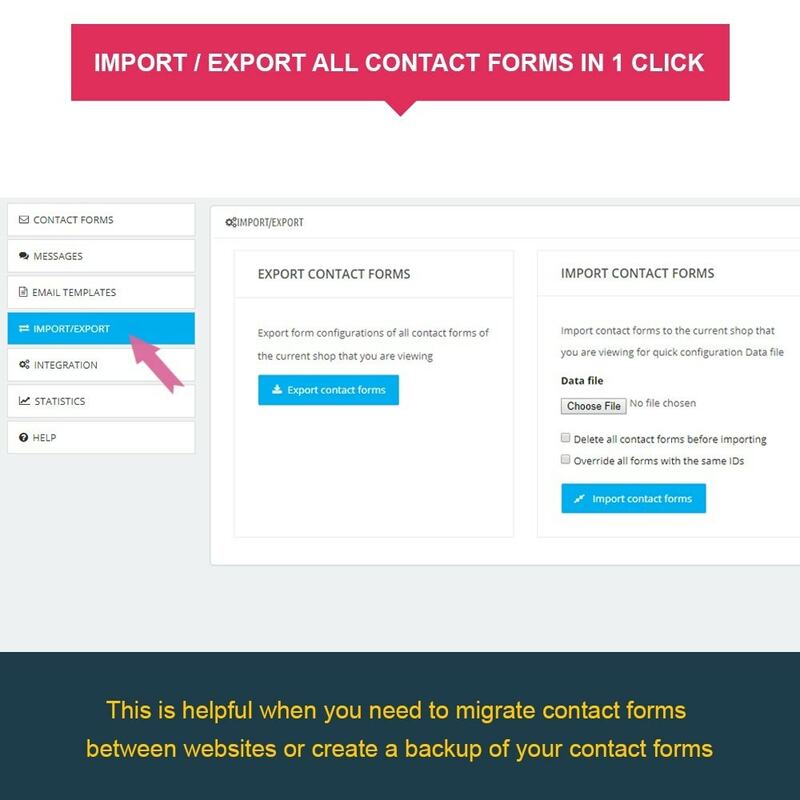 Why Contact Form 7 is better than all the others out there? 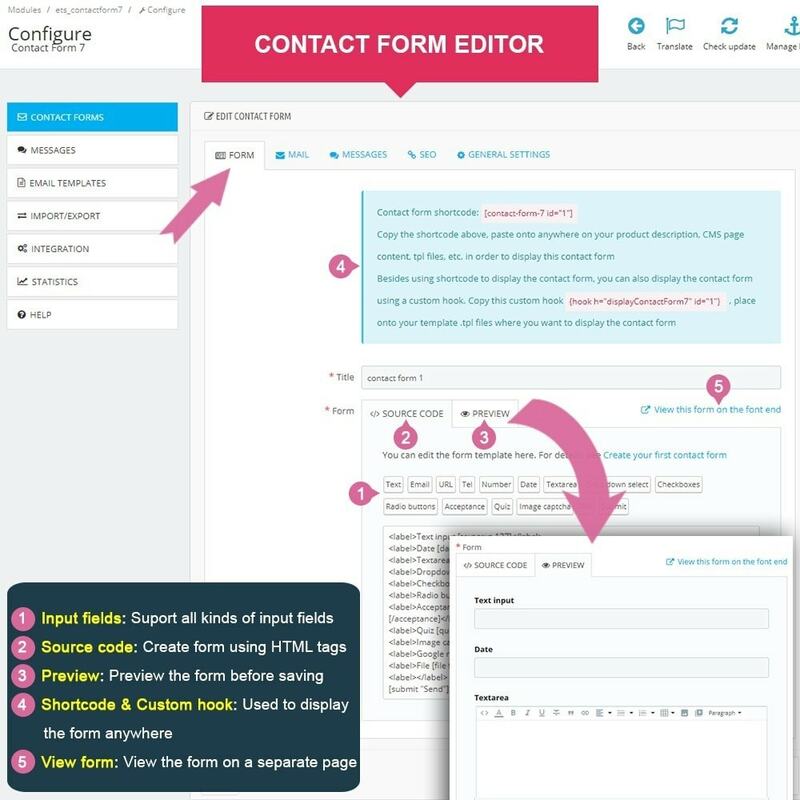 The fame of Contact Form 7 has itself proven its innovative features and user-driven design to be the best! This Prestashop module allows you to create an unlimited number of any kinds of web form such as customer contact form, customer survey form, recruitment form, product form, quotation form, service booking form, etc. for your Prestashop website. Prestashop Contact Form 7 supports all kinds of common input fields such as simple text, text area, date, number, URL, file, quiz, acceptance, dropdown selection, checkboxes, CAPTCHA (simple CAPTCHA and reCaptcha), etc. Contact Form 7 can be displayed anywhere on your website (on a separate contact page, on the product page, on sidebar, inside product description, inside CMS content, any Smarty .tpl file, etc.) using static hooks, custom hook and shortcode. 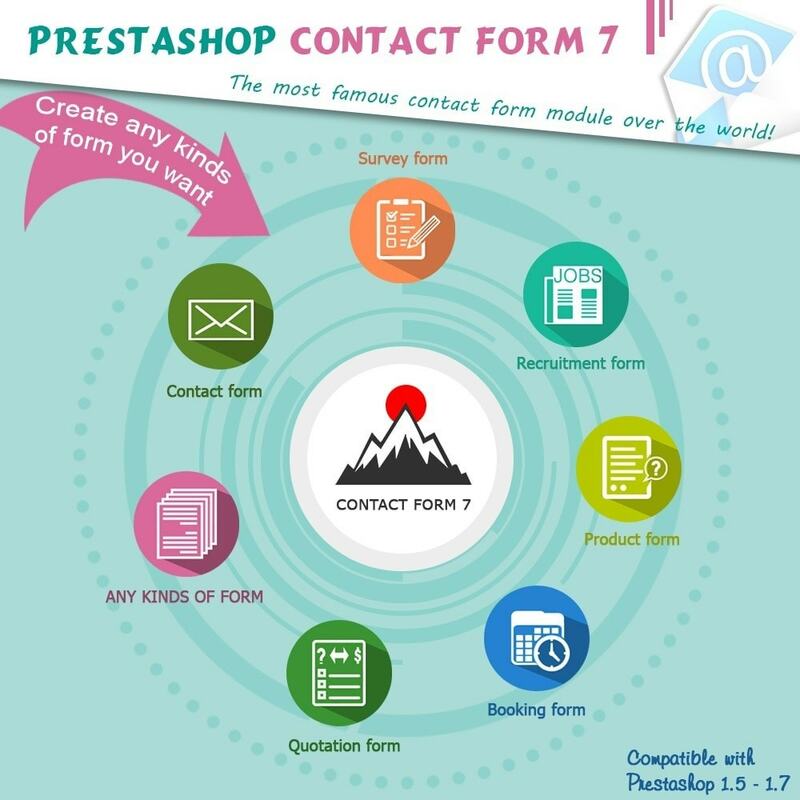 Contact Form 7 is definitely the most easy-customizable contact form module for Prestashop as it allows you to build any kind of contact form using a form editor where you can enter HTML tags to fit your website template design or create creative contact forms. Live preview feature also allows you to preview for contact form from the back office before saving it. 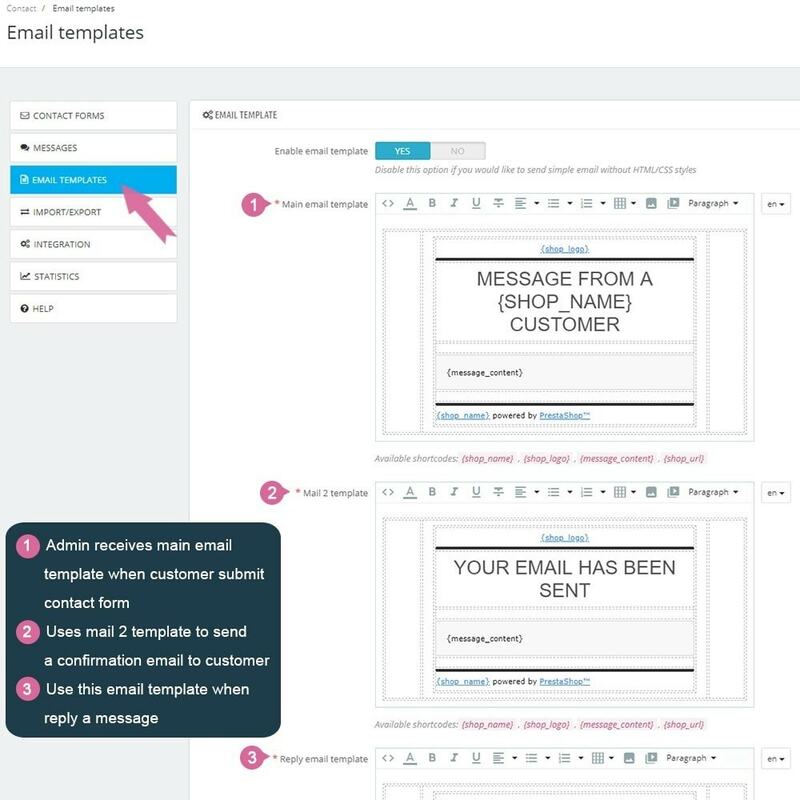 There are many other great features that help Contact Form 7 become the most popular contact form plugin such as the capacity of saving customer messages, auto send a confirmation email to customer, message editor, etc. Please refer to “Features” section for more information. Create any kinds of form with form editor interface (live preview). 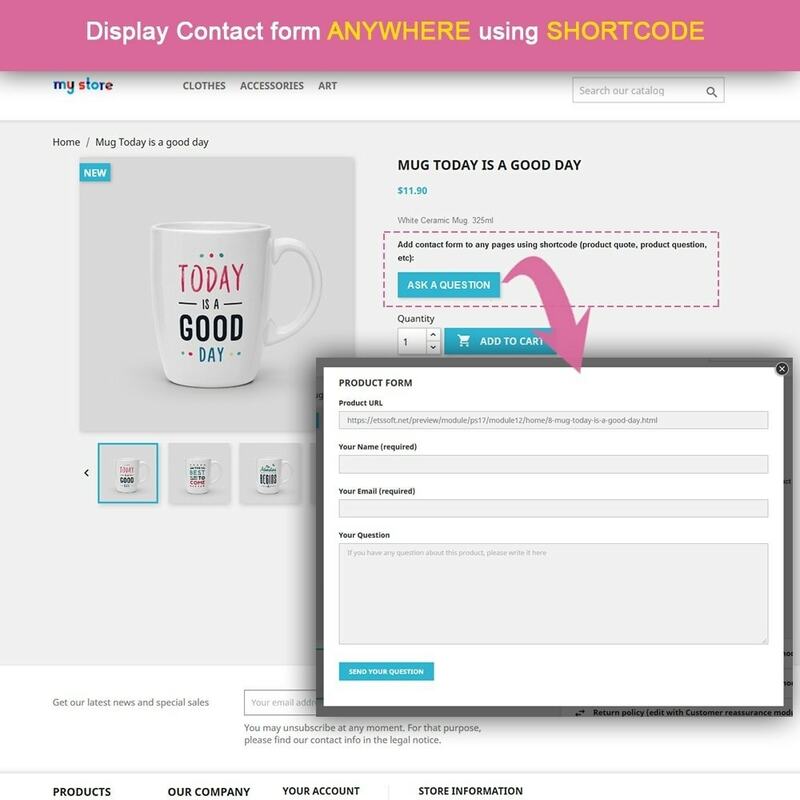 Display forms anywhere using static hook, custom hook and shortcode. 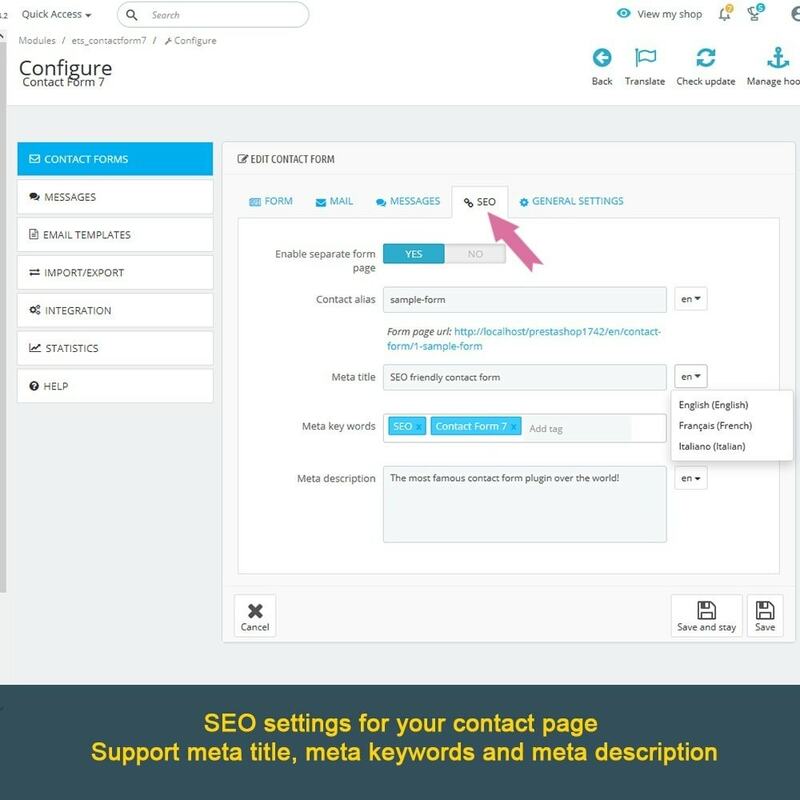 Separate display page for each contact form which SEO friendly with Meta title, Meta keywords and Meta description. Fully responsive, display on any devices such as iPhone, iPad, Android, etc. 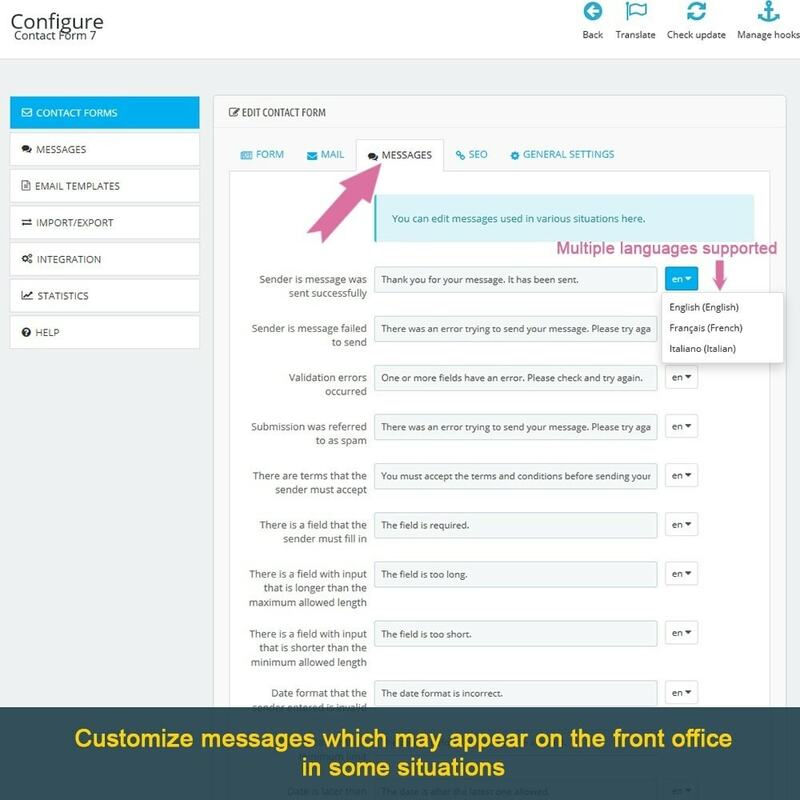 Allow you to save messages sent via contact forms to your website back office. 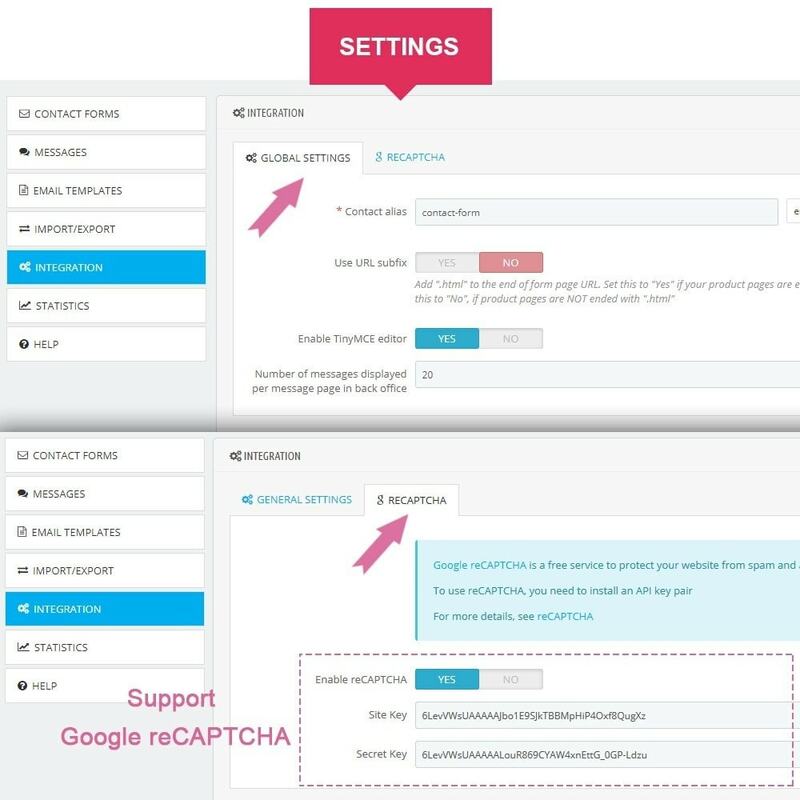 Setup general SEO rules for all contact form pages (contact page alias, enable URL suffix) and the number of messages displayed per page in the back office. Add IP addresses to IP blacklist to block them from submitting contact forms. 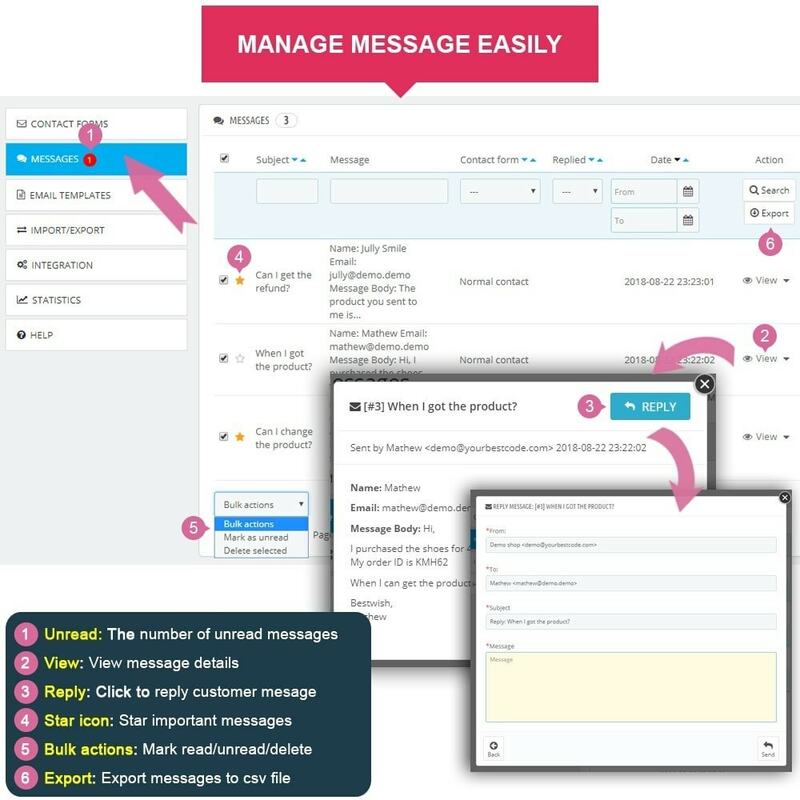 Statistic chart of messages, views and replies received through your contact forms. View log with detailed information about customers who visited your website such as IP, web browser type, GEO location, etc..
Service booking form such as hotel booking form, car rental booking form, etc. Or any kinds of form you need. Most of the code of Prestashop Contact Form 7 is converted from its WordPress version which has been proven to be stable and highly compatible with any website. It’s also to make sure everything works exactly as how Contact Form 7 works on WordPress. 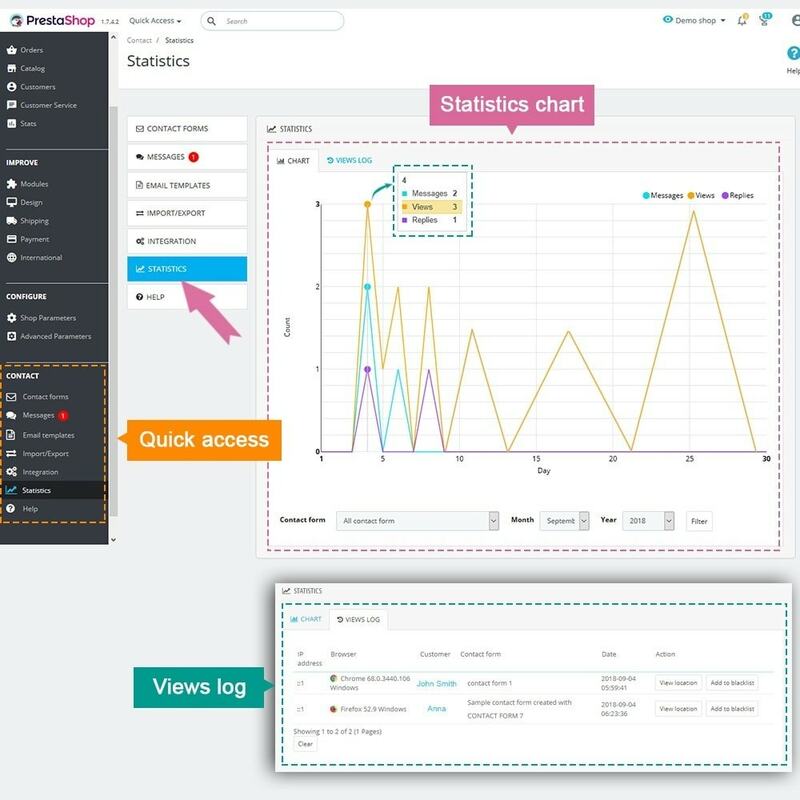 This module is coded by Prestashop developers who have 8+ years of experience on the fields. All the code of the module is plain (there are no encrypted code lines) and easy for customization. The Prestashop form builder module is tested on all major web browsers such as Chrome, Firefox, Safari, Opera, etc. The module is tested and guaranteed to display perfectly on any mobile devices such as iPhone, iPad, Android, etc. 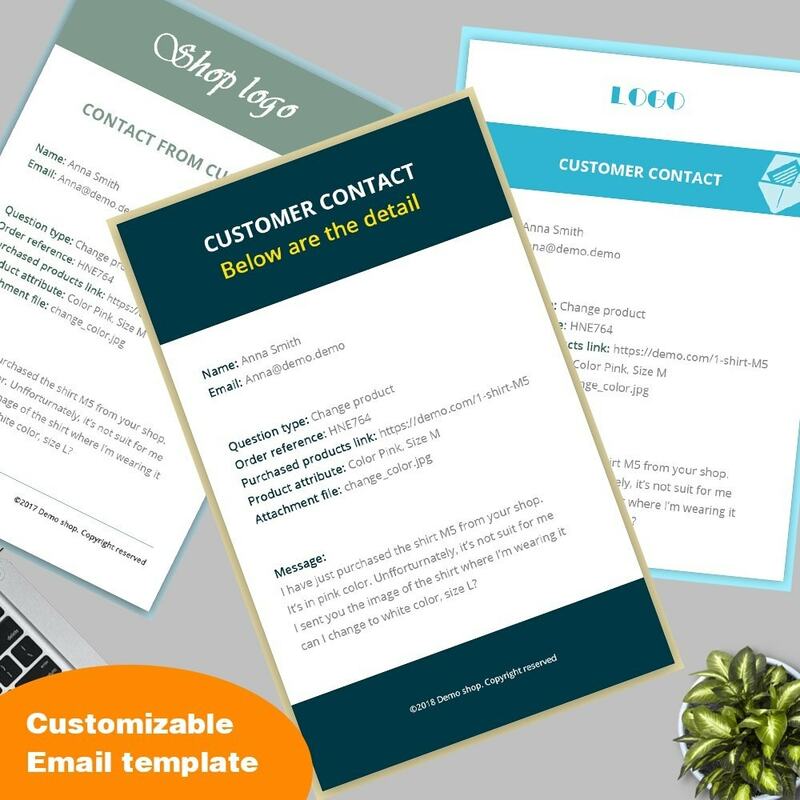 As mentioned in the former part of this article, by installing Contact Form 7 on your website, you’re able to create professional web forms that you need to display to your customers. User-driven interface with Ajax technology helps your customers easily to use the contact forms and submit the forms without reloading the website. Professional front office design makes the forms look attractive to customers and increase the trust of your website in them. Our dedicated support team is open for any support request from you – our valued customers. So never hesitate to contact us if you fall into any problem when using this module on your website. Each purchase of this module is 1 valid license for the installation of the module on 1 website only! Please purchase additional licenses if you want to install Contact Form 7 on more Prestashop website. If you like Contact Form 7, please support us by leaving it a rating of 5 stars. You will help us so much on improving the appearance of the module on the marketplace and bring the helpful module to more people who’re in need of such contact form module. Works perfect as a contact form was looking for! Great contact form, I had a small issues and the developer fixed it for me quickly. Upload the installation file via your Prestashop back office and install it in 1 click as other normal Prestashop modules. Create your first contact form by navigating to “Contact > Contact Forms” then click on “Add new” button. Fill in all required information such as title, SEO settings (if you would like to display the form on a separate page). Use form editor to format the display of the contact form and select data fields that you want to use in your form. Select your preferred method to display the contact form on your website such as static hook (home, sidebar, etc. ), custom hook (put a custom hook on your template .tpl files), shortcode (display the form on CMS page, product description, etc.) or display the form on a separate SEO page. That’s all about the installation. 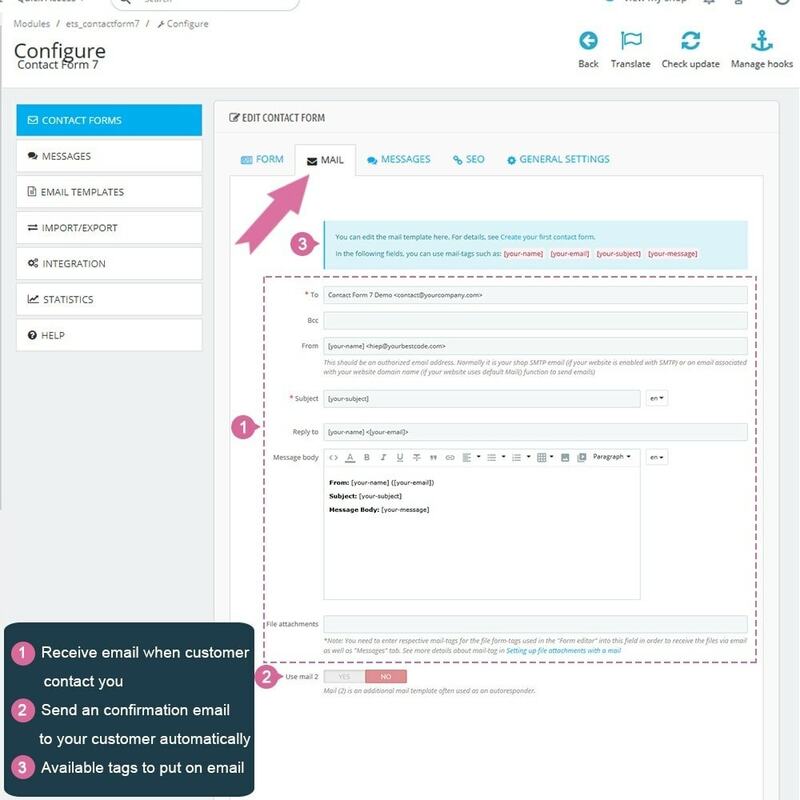 You can now check the contact form on the front office and start to receive messages from your customers via email, you can also manage customer messages and reply to them easily via back office. We hope you love Contact Form 7 – The best Prestashop form builder module for Prestashop!